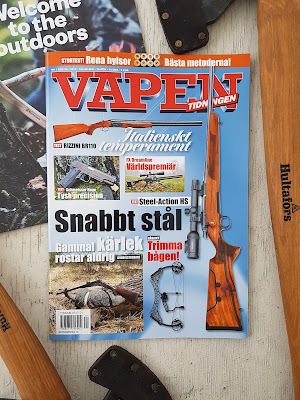 This year's first issue of Vapentidningen is on its way out to the stores - No.1 - 2019. 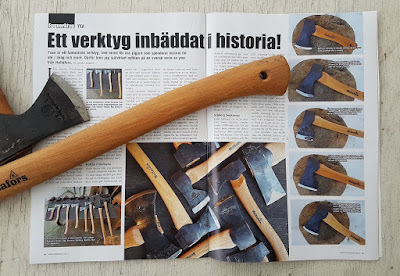 Inside you'll find Jonas 3-page article on Hultafors Premium Axe series. With genuine carbon steel from Smedjebacken Sweden, craftsmanship from Hults Bruk in Åby Sweden and American hickory nicely shaped by Bröderna Smedbergs in Rydaholm Sweden this series come with high quality and great history. 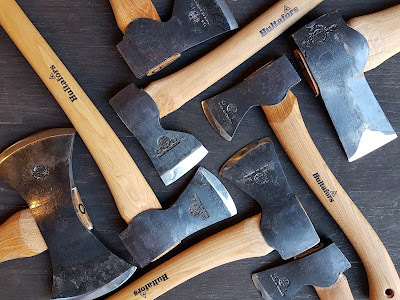 You can see more about the axes by clicking HERE. 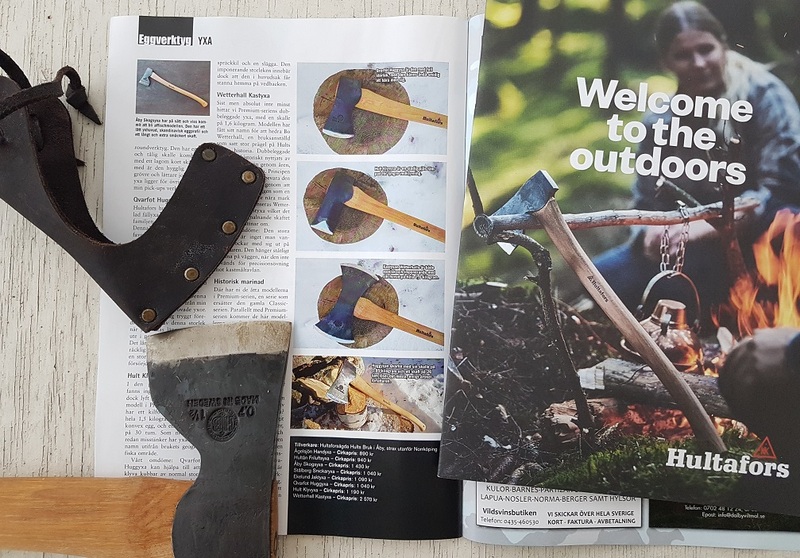 And then we hope you pick up the mag to get more detailed information on each axe model in the Hultafors Premium Axes series. Some examples of other interesting articles inside the same mag; Steel-Action HS (Erland Gunnarsson), Rizzini BR110 (Tobias Hassel) and Schmeisser 1911 Hugo (Henrik Kalling). We want to take the opportunity to congratulate mr Erland Gunnarsson to his new role as Chief Editor at the magazine! His off to a good start delivering this great first issue. 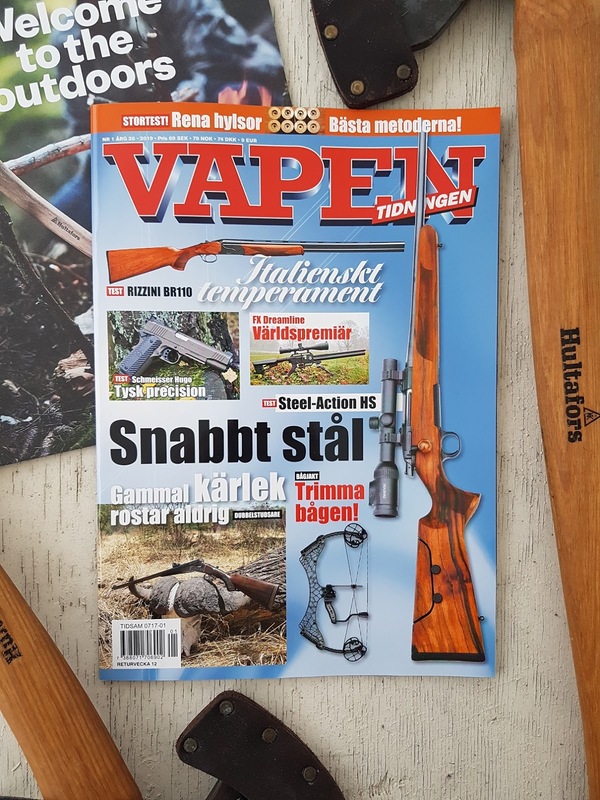 To also see Jonas earlier articles published inside Vapentidningen; click HERE.